Once a month the YMCA is THE PLACE for kids! Kids can enjoy an evening at the YMCA while keeping busy with actives such as creating art, playing games, eating dinner, and being silly while their parents are out and about! Detailed activities for each event will be available closer to each event date. Contact the Y for more information today! STOWE FAMILY YMCA – NEW! Saturday, April 13 – This month features a competitive egg hunt where the kids will seek & find first, and then re-hide and seek in an upstairs/downstairs competition for a Spring Themed prize as well as a bubble blowing challenge with different implements to see what works best & is the most fun! Pizza will be served for dinner. Do you have an older kid looking for fun? 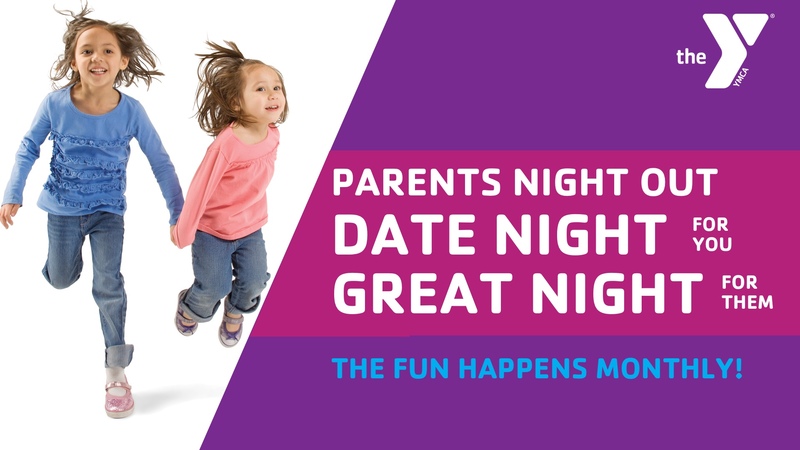 Look for information on Kids Night Out! *Details about the nights events will be provided closer to the date. Saturday, April 13- Ready to spring into fun? Then join your friends at the Warlick Y for our Spring Fling Parents’ Night Out! We’ll have pizza and fresh fruit for dinner, make a special spring treat, and have tons of fun while building relationships with friends! Be sure to send a pair of pajamas to change into! Questions: Contact Cody Carpenter at ccarpenter@gastonymca.org or at 704-830-9622.